Sailing the Sea of Style: D.I.Y. for Fall! I am so excited for Fall! When I was on Pinterest, and came across this decorated pumpkin, I was so happy. I cannot wait to make one myself, I tdecided to create a D.I.Y. for all of you! The DIY is so simple, and all you need is a quick trip to the hardware store. Step 1: Once you have the perfect pumpkin, using painter's tape, create a zig-zag pattern all around the pumpkin. Step 2: Next, using either regular paint or spray paint, paint the area that is not covered in paint. Let dry. Step 3: Peel of the tape. Step 4: Volia! You have your new pumpkin! 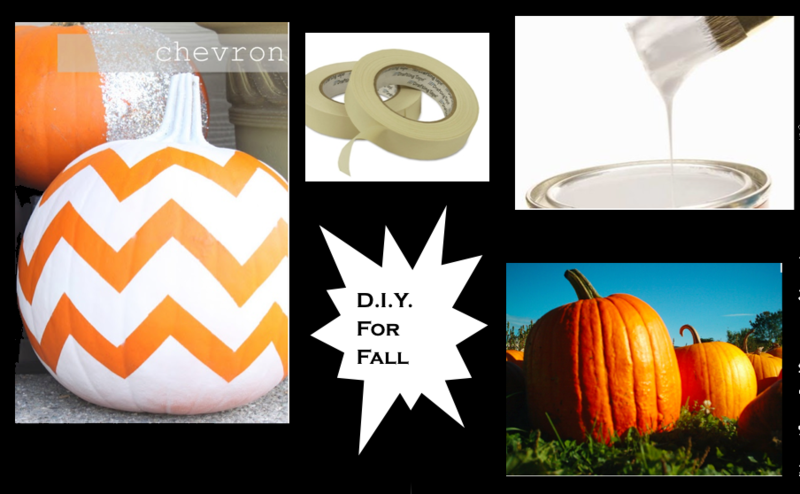 Let me know if you try this Fall DIY!